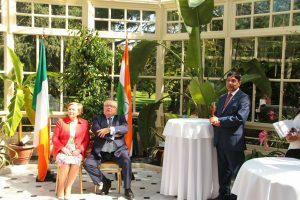 Ireland-India Council (IIC) is the leading organization working to strengthen the existing relationship and promote understanding among the Irish Indian Communities, business leaders, universities and institutions of the Ireland and India. Council brings together present and future leaders, intellectuals and diplomats from our two countries and lay the groundwork for future cooperation. The Ireland-India Council visualizes greater economic, educational, scientific, cultural and tourism opportunities between Ireland and India. Council explores new areas by supporting to develop communication, dialogue, mutual trust, leadership and improved understanding between leaders in business, education and government in Ireland and India. The foundation of Irish-Indian relations was greatly strengthened by the luminaries like Éamon de Valera, Jawahar Lal Nehru, Rabindra Nath Tagore, W.B. Yeats and above all, Annie Besant and Mother Teresa. Alfred Web an Irish parliamentarian was invited to chair the Indian National Congress session in 1894, it is a unique example of friendship between the people of our two countries. During the dusk of the last century the founders of the Council felt a strong need for an organization which provide a platform for interaction between Irish and Indians and facilitate contacts in cultural, economic and education sector as an Indian community in Ireland significantly growing, business opportunities between the two emerging knowledge based economies presenting immense scope for trade, commerce and collaborations in research and development field. The Ireland-India Council (IIC) was formally established in 2002 under the leadership of Professor Louis Smith, a well known economist, who was engaged in developing Irish-Asian economic relations since 1960’s. IIC is a non-profit, independent institution, created to encourage and facilitate cultural and economic exchanges between the people and institutions of Ireland and India. Over 8 years Council has evolved into a premiere organization that brings together present and future leaders, professionals, intellectuals and diplomats from Ireland and India. Council aims to broaden Ireland-India relations and lay the groundwork for future cooperation. The Ireland-India Council organizes a variety of programs, activities and initiatives each year. All our members and associates are informed of Council events and initiatives through newsletters and regular communications. IIC provides a platform of interaction between individuals and institutions through organizing events, visits and meetings. We organize business meetings and also provide information support to the companies intending or doing business between Ireland and India. Council organizes cultural events, exhibitions, film and documentary shows and provide cultural familiarization training to the variety of clients i.e. Students, companies and institutions. Each year during the summer IIC organizes a lecture/talk of an outstanding Irish or Indian personality to nurture relations between the people and institutions of our two countries. Build on the interlocking relationship of our members through facilitating communications and interactions among the members and businesses. We publish a bimonthly newsletter to keep updated our members and associates about IIC activities and developments in Irish-Indian economic, cultural, political, educational, trade and commerce sector. These are long term projects to find practical solutions to clearly defined objectives and challenges. 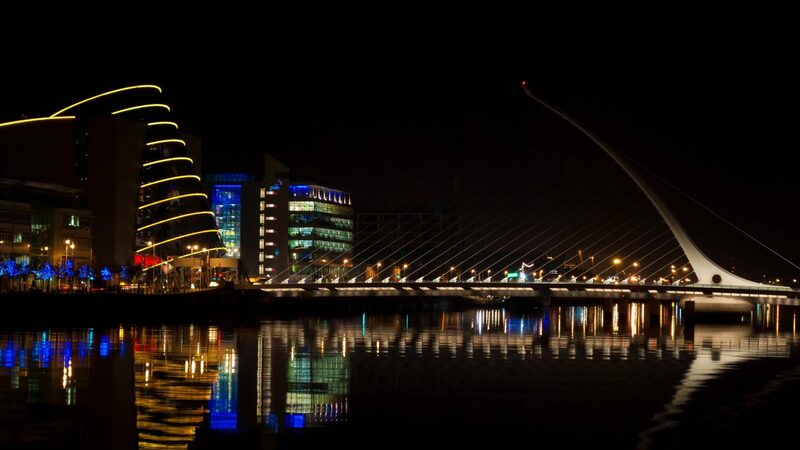 Since 2010 Council regularly holds an Irish Indian Science Technology Forum to promote and catalyse Irish-Indian collaborations in science, technology, engineering and biomedical research. With the support of the Office of the Minister for Integration this project was launched in March 2008. The project holds and supports a range of activities to facilitate integration between the old and new communities. To attract Diaspora for investment, entrepreneurship and professional skills. Ireland-India Council is working together with Irish Education, Universities and colleges to develop a support mechanism for Indian students in Ireland in the persuasion of their studies. It is also supported through internship programs, information session & workshops familiarize Indian students to understand Irish system. In the field of Immigration and Integration Ireland-India Council has closely worked with government agencies, Non Governmental Organizations like the Immigrant Council of Ireland, Integrating Ireland and with a network of ethnic groups to provide information services and assist with practical solutions to the Indians living in Ireland. IIC provides intercultural familiarization about Indian culture, literature, history and other areas of interest to the Indigenous Irish community, school and colleges.